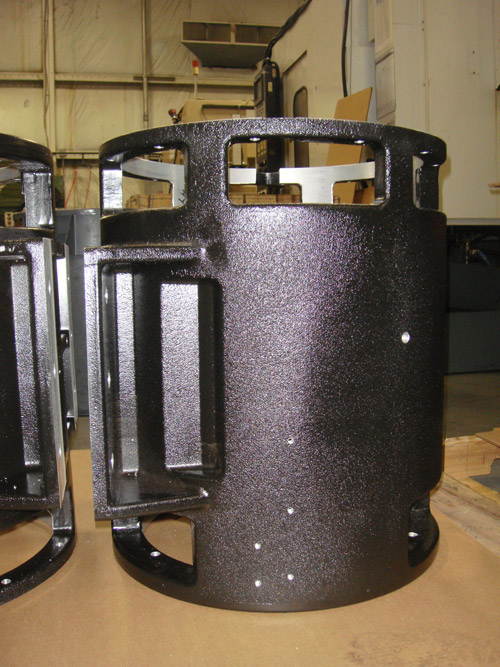 Swihart Industries, Inc.'s precision CNC machining services allow us to machine intricate parts used in a variety of industries. 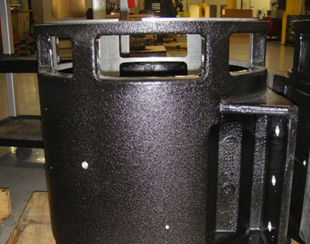 This cast metal main frame was machined for use in the power generation industry. 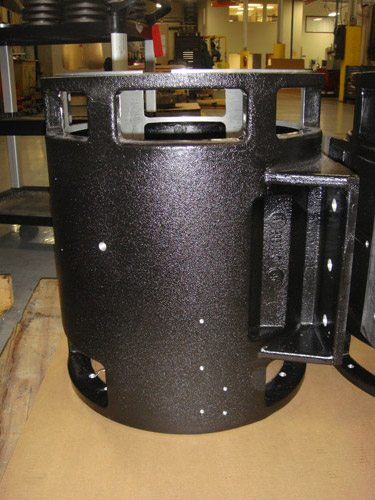 We received this project from a customer we were already making smaller parts for. This component was being machined by a foreign supplier, but the customer was having consistent quality issues with the machining quality on the part. Our customer was so happy with our precision machining, detailed inspection, communication, and delivery services that not only have we continued to manufacture this part, but we have been awarded contracts on additional components. 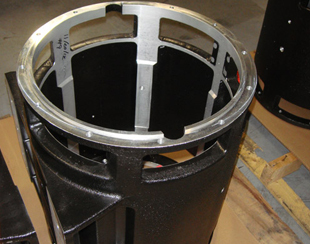 The cylindrical main frame has an outer diameter of 17.75" and measures 20.969" high. After machining in our Mori Seiki horizontal machining center, the frame underwent detailed dimensional inspection using our coordinate measuring machine (CMM) to ensure all dimensions conformed to customer specifications. 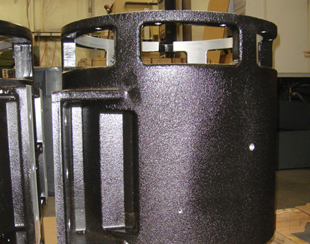 Due to the extensive number of slots and holes machined into this part, dimensional conformance is critical for later part fit-up. 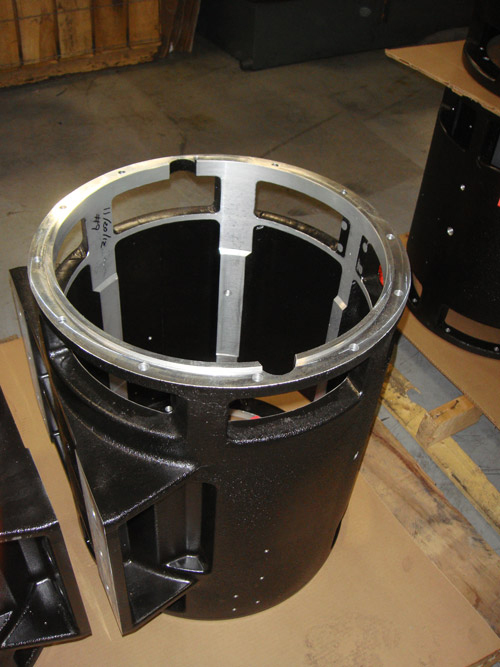 Our turnaround time on this part is 1-2 weeks to our customer in Texas. For more information about this project, see the table below, or contact us directly.